Big 3I competencies: Why are they so darn hard to acquire? Creating value and organic growth opportunities requires uncovering opportunities often hiding in plain sight. Innovations challenge expectations including possible returns on the effort. We take for granted what’s under our noses even though it may be exactly where we need to pay closer attention. Understanding how perception affects our preferences makes compensation possible. Vigilance helps, especially awareness of value on multiple dimensions. There’s a monetary aspect and there are ideas we hold near and dear. Both values motivate human behavior and that’s what makes life interesting. Let’s begin our exploration looking at traditional expressions of value after an introduction to the concept of “fundamental attribution,” or first perceptions. Prior knowledge separates surprise from distraction. A sudden unanticipated event will jolt our senses. Our sudden vigilant state will recede when we recognize familiar people, or cues, associated with things we know make us happy. Surprise includes circumstances or context that make us expect what comes next and so we relax our guard. The fundamental attribution idea literally draws on internal experience. Stored knowledge takes care of us, finding a fit to situations and environments we meet. That doesn’t mean we pick the best fit. Often familiar, frequently used ideas come to mind faster. Logical or rational alternatives follow, too late to be useful. That’s where intention, pausing before reacting, offers the pre-frontal cortex time to process. This internal tradeoff makes humans wonderfully complex and predictably irrational. The trick is to understand how circumstances get people to do what you want and avoid them blowing up in your face. Psst, the answer goes beyond data analytic competencies, though that’s important. Perception and preference the Big What? Data comes in one flavor, but tastes differently to consumers than it does to product and service providers. Everyday, more code and identifiers amplify specific and ambient details associated with activities such as tracking goods, service use etc. The convenience, cost and time savings provided by standard identifiers like bar codes, account numbers, social security numbers, email addresses and phone numbers also simplify providers, up and down the supply chain, catering to our unconscious preferences. Every day, we compromise a little more of our privacy and anonymity in the process. The sheer volume, veracity and velocity of all this raw, “Big” data makes navigating the future possible. 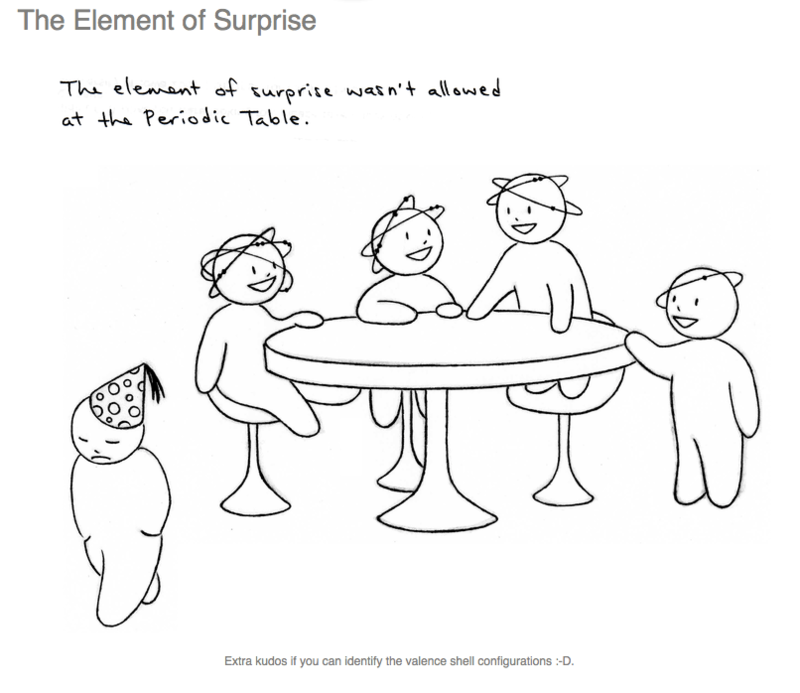 The tricks require exploring past and present relationships between variables. Predictive Models use that deeper understanding of variable relationships and their interactions to create opportunities, control risk producing conditions and optimize sources of marginal profit. The results enrich our lives and few of us feel oppressed by this Business Intelligence (BI). Big Brother does exist, but so does Big Sister, Big Doctor, Best Friend, Old Roommate, Big Pen Pal etc. In other words, government surveillance creating the old FBI style dossiers, pales to the knowledge stored about you by your bank, Google, Facebook, Amazon and other retailers. Healthcare regulations and practices preserved the privacy of your information, and their slowed migration to electronic medical records. Their failure to keep up with the wider digital data practices have also slowed diagnostic advances and cost saving opportunities. Real innovations begin with insight, once the province of small tests and strictly the domain of human intelligence. Today Big Insight crowds out the spotlight occupied by BI. Cheap storage and faster processing makes data mining possible for anyone, but it is the strategic opportunists with the foresight to be serious players and accumulators that continue to change the world. Recently, GigaOM identified several use cases while highlighting Terradata, the makers of the first terabyte scaled database. The full list is worth reading, as I mention only a few. Steve Jobs infamous statement that Apple doesn’t do customer research no longer holds true. Terradata named Apple as its first customer to exceed a petabyte of storage. Apple rapidly accumulates transactional information on their customers to understand customers across product groups. WalMart’s data processing and analytic capabilities go beyond simple sales efficiency. The data helps instruct and educate its suppliers with insights about packaging dimensions as well as shelf space location etc. The ongoing arrival of new technologies and embedded tracking codes continue to fuel the race to understand and use real-time ambient data to influence transactions. More data makes it easier to see deeper underlying patterns more clearly. With greater awareness, trends can be spotted and tracked more readily and the impact of different interventions tested simply and more thoroughly. Begin with data, or information records that represent your observations from field research. After collection, the data needs to be categorized, clustered. Begin the analysis process using a simple scatter plot to understand the landscape or context of observations relative to the categories selected. Using intuition and prior knowledge, the dimensions you choose to contrast also leads to the direction in which you develop associations between the data points. What, if any, possible connections exist? Using imagination and creativity lines of connection appear as part of an effort to FIT the dots to a model. Of course the interpretations vary. Time and patience make possible “a fidelity of meaning” and the underlying pattern comes into focus. The data’s added value suggest patterns that slowly develop into solutions. Insights, Luis explains contain 30% Data, 30% inspiration, 30% perspiration and 10% luck. Insights facilitate the transition from confusion to help resolve the initial problem. They are the links between what Is and What If, they help us imagine how when we don’t or can’t know. Recent article in HBR by Thomas Davenport, another worthwhile read, emphasizes a different set of talents and experiences. Particularly helpful for positioning your firm is one of the closing observations about the capabilities housed within your organization and the opportunities they present. “….their greatest opportunity to add value is not in creating reports or presentations for senior executives but in innovating with customer-facing products and processes…. What’s the common denominator linking Davenport and Arnal? Both reference visual thinking or the conceptual translation of ideas into tangible representations. Again,a mastery difficult to acquire and beyond the bounds of computers, even those as powerful as IBM Watson. I don’t think Siri creates flow charts, but she might learn. I did and so can and do others. When hiring for analytics teams I managed, three criteria or competencies were essential: SAS skills—statistical coding; knowledge of the business; and an ability to think through new problems. i never thought to ask someone if they could draw. One of my teams pioneered new strategies to improve profitability. Initially, that meant differentiating credit worthiness. Managing the portfolio however required alternative methods to promote profitability by optimizing costs and simultaneously minimize risks. At the time, combination of competencies we needed were rare. Above all we needed flexible thinkers to tackle complex problems and create more sustainable solutions. We learned to bet on those who offered two of the three. In time, we came to realize that the third criteria, thinking, was one we couldn’t teach. It became the minimum requirement. In the late 80’s, we sought out academics with conceptual modeling experience and bypassed MBAs. Banking wasn’t the only employers seeking these skills but we were much more flexible in hiring them. Today, the combination of technical skills proving most valuable continue to be found among individuals who have studied complex data and demonstrate visual thinking, again not MBAs. Not all designers capabilities include assembly of a sophisticated social network analysis model, but they sure do a great job of communicating conceptual ideas tangibly. Playing effectively with Big Data analytics requires an unusual mix of capabilities. More than sheer brute processing power, modeling, imagining and speculating requires artistic license. Machines will find patterns of relationship quickly, but not clear they will find the direct relationship between cause and effect. The reasons and thought processes that drive the behavior, remain domains where humans excel. Its’ hard to believe that the same analysis that led Johnson and his team to create the square fair pricing missed recognizing coupons significance to their customers. I agree with Surowiecki, who suggests the impact of one fundamental attribution created a rippling effect producing one error after another. The first error made by the board in selecting Johnson, created further error by decision-makers and Johnson himself in choosing to push their half-baked strategy forward prematurely. What matters? What you say? or What you do? Can we learn from a binary answer? There’s a lot of clarity when given a simple Yes or No, or asking if we do or don’t, differentiating something good from bad. Sure the world and people’s sentiments are often less definitive or clear. The world is full of gray and people tend to shy away from declaring something absolutely black or white. It’s why metrics include scales. It’s been hot, but if I want to know just how hot, I need to measure it. Similarly, if I want to know more about how you feel, introducing a graded scale allows you to tell me something differently than forcing you to choose between extremes. The challenge is whether survey questions really get me there. Surveys are fine instruments, when the universe of responses are “known,” or the scale of measurement standard. For example the difference between below 32F and above differentiates freezing. Or 3 inches is one inch more than 2 inches. Measures of sentiment, belief or attitude are very difficult to standardize. I began my career forecasting elections for CBS News. The survey questions were very direct as shown here. The tabulations were equally direct. Not only were the samples very carefully drawn but the population was also carefully estimated and provided a very solid denominator. 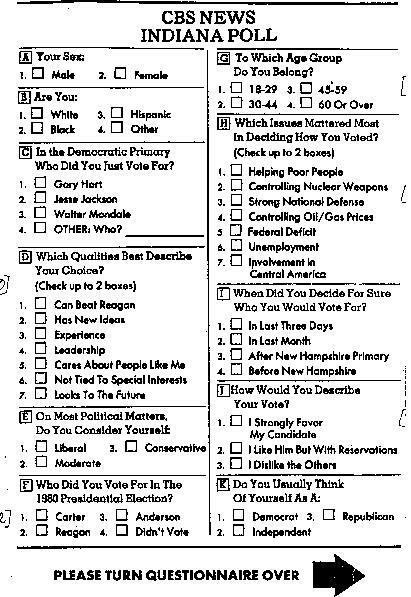 Survey responses were voluntary but deliberately framed whether the pollster asked questions over the telephone or in person interview. The results predicted with great accuracy final election results and helped CBS and the other news outlets advantage to call winners before the real poll results were officially tabulated. It was the point of their surveys, right? Both candidates and news outlets conduct surveys to get an accurate handle on which way voter sentiments are going. The information is doable, insightful and thus useful. OK, some questions are worth asking because it helps people warm up and get them to tell you what they really think or what really matters. But too often we want to know about sentiment and are not very good at framing the question. It’s in these cases that the scale matters. Frankly I’m tired of sifting through survey results that don’t deliver. Surveys by themselves don’t engage someone and the results often reflect their level of engagement as opposed to their true sentiment on the subject. The more concrete the option the more valid the results. I admit I’m a sucker for information, especially when the promise of learning about my prospects’ their attitudes, desires, interests, needs and concerns is freely available. But in the end I get what I pay for, yep, absolutely nothing. Asking gets you where exactly? Surveys, we hope, allow us simple, objective, opportunities to ask what we want to know. The large sample surveys that characterize much of the information being gathered by large consulting firms, and in which I’ve been a participant, don’t live up to their promise of cultivating knowledge or insight about their customers. In my view the approach is old school. Their ubiquity signals the ease with which surveys can be constructed, distributed and analyzed. We can get more for less; and at the end of the day, very little of it is truly useful or provides real insights. I wonder why C-Suite executives take part? What’s really in it for them? Do the questions draw them in and increase their attention to the topic? The receipt of results serve as quid pro quo for their input and clue them in on the feelings of their peers. That’s worth something, but again old school traditional competitive behavior doesn’t allow you to formulate strategies that deliver economic advantage. Here are two examples of survey findings, you tell me if I’m off base. The Wall Street Journal’s CIO blog last week referenced a new study from McKinsey & Company. Roughly 49% of those surveyed said they are currently using Big Data to understand their customers better, while a combined 32% said they are currently using social media to interact with customers or promote their brands. The IBM 2010 Global CEO study discovered that CEOs cited creativity as the most important leadership quality over the next five years. Further IBM’s report stated innovation needs to be CORPORATE activity, not just an R&D activity. Are your answers to these questions any different? What would you say is the most important leadership quality for business leaders over the next five years? How do your rankings compare to the ones shown in the graph? I suspect, but don’t know as I didn’t actually test this, average citizens might respond similarly to CEOs because the question is so general. Why? Have you ever asked a question when you knew the answer? As in “Isn’t Coke the best drink on the planet?” I don’t mean to disparage the authors’ and analysts’ objectivity in creating and conducting these surveys, or criticize the soundness of their methods. These survey results represent sentiment when the value I’m seeking comes from behavioral insights best obtained from other methods. In the end, the survey results merely add to the growing pile of information that has limited direct use and grows stale quickly, but cost time and energy to collect, tabulate, analyze and distribute. What other evidence would corroborate findings around important CEO qualities? The available data would have to be public and somehow connect to actions undertaken by CEOs. Where do you look? You could mine their public statements or interviews, and you could look for supporting documents such as investments, resource allocations, new initiatives and the percentage of funding. The good news? Gathering, sifting, reviewing, compiling and delivery the infomration with or with some analysis is easier than ever. I’m just surprised that IBM, a very savvy research firm hasn’t begun to compare the two and shared its findings. Watson is good for more than winning at Jeopardy right? In the next few weeks, I hope to try out a series of tools myself. For example, I learned this morning about Attensity. Text analytics systems are the plow horses that increase big data’s yield, put to work by none other than Google to enhance their search algorithm. Do you remember when Google used to share the liklihood that their results matched your search? I’m a big believer in skipping reinventing the wheel, so if you have done this analysis or know of any, send them my way. I’ll keep you posted on things I find. Are you tired of reading or even seeing trending information that lacks clarification or proper weighting? If so, I’d love to hear about your experiences and any solutions you are finding promising. Alternatively if you do find the survey results meaningful or actionable please share what makes these types of reports valuable to your work , or improve the outcomes of your tasks?